What is going on in Barcelona at the last month of the year 2016? What are the events in Barcelona in December 2016? If you are a real activity hunter when you are on holiday then this post and the upcomings are for you. 2016 events in Barcelona city is fulfulling, fascinating, warm and unforgettable. One of these heartwarming events is a theater called Litle Prince or El Petit Princep which is also a musical. Little Prince was published in 1943 by Antoine de Saint-Exupery. It's a French tale and translated into many languages in the world. If you are in Barcelona in December 2016 then we highly recommend to see this magical world. Throughout December 2016 you can watch this lovely and warming theater in Teatre Barts. The ticket is from 15€ and the event hour from 6.00 pm to 9.00 pm. For kids and family activities El Petit Princep can be a good indoor activity in winter. 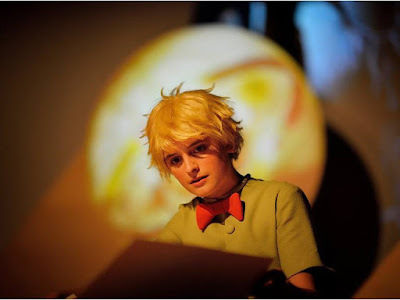 For more information about event please click http://es.teatrebarcelona.com/espectaculo/el-petit-princep-el-musical . We will keep on write about 2017 events in Barcelona for Barcelona Travel lovers.